Ray Fawkes’ comics frequently blend unsettling premises with evocative and complex aesthetic rigor. That approach echoes in the first storyline of his new Image Comics horror series Underwinter, which stars a string quartet hired to perform under a very, very peculiar set of circumstances. Fawkes’ career encompasses everything from the creeping body horror of Intersect to an acclaimed run on DC’s Gotham by Midnight, in which he delved into the mystical side of Batman’s hometown. The Toronto-based cartoonist has also explored the potential of the comics medium in books including One Soul and The People Inside, both from Oni Press, which made innovative use of page layouts and structures. Even his earliest work dove into mysterious and slightly skewed scenarios: his 2003 graphic novel Spookshow revolves around two factions of spies resurrected under strange conditions. 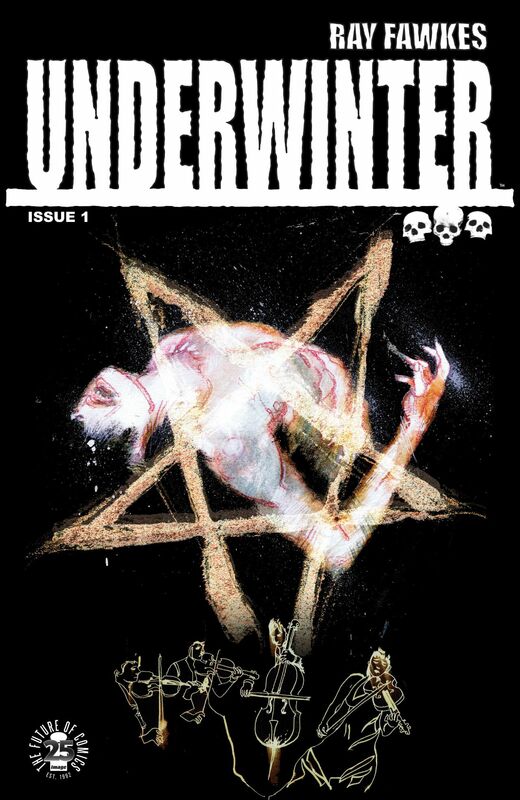 With its first issue released last month and its sophomore issue slated for later in April, we chatted with Fawkes about the origins of Underwinter, the appeal of horror comics and the evolution of his unique process. 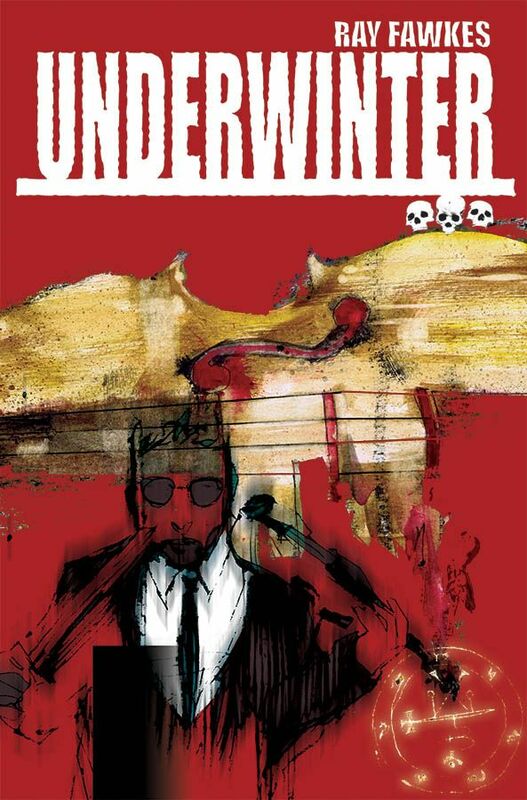 Paste: Underwinter’s first arc, “Symphony,” centers around a string quartet hired for a mysterious assignment. What appealed to you about the dynamic of this type of musical ensemble? Ray Fawkes: I like the symmetry of a quartet of characters: two men, two women, each forming an anchor at the four corners (or, if we want to get mystical here—and considering this book, we might just—the cardinal points) of the harmonious musical unit they form. Each member of the cast of “Symphony” balances one member and provokes one as well. It’s just the way I wanted to write this story. Paste: From what’s revealed in the first issue, there’s plenty of turmoil within both the quartet and the people who hire them. When did you know that this story would begin in this specific phase? Fawkes: As per an adage in storytelling, I’m bringing the reader into this story at the latest possible moment to keep it interesting. We don’t need to know what it’s been like in the status quo for these people beyond broad strokes (the musicians are poor and having problems, the house is suffering a kind of constant attrition), as much as the moment that everything starts to change for them. Further details about their past will start to come through, but right now there’s an important part for them to play, and they will all be tested. Paste: The opening of Underwinter involves a particularly visceral scene of body horror. You’d previously explored that subgenre with Intersect— was there anything that you learned from that project that you’re using here? Fawkes: Absolutely! 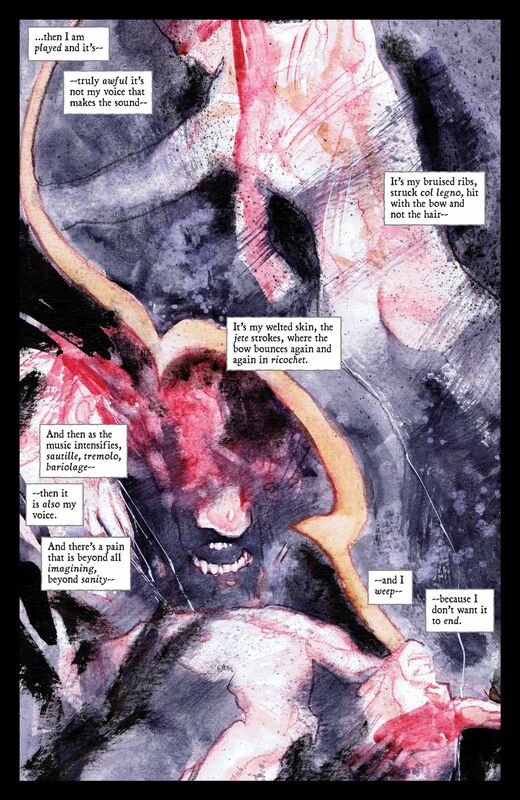 Intersect was an experimental piece, an attempt to convey the feeling of a nightmare in purely comic-book terms. There were tricks I played with color and with panel positioning that will definitely play a part in the presentation of Underwinter, but Underwinter is the next step, creatively. Paste: Is each arc intended as an entirely separate story, or is there a larger story told across different future volumes? Fawkes: Each arc of Underwinter is entirely its own story, but all of the arcs of the book take place in the same world. Careful readers will see that the second arc of the book features minor characters from “Symphony,” and a planned later arc actually takes place in the past, revealing more about some of the locations and characters from the first two arcs. In the end, a whole cohesive world will be built—but like the real world, each piece is its own tale that adds to the whole. Paste: Underwinter blends scenes of realism with more dreamlike sequences. How do you settle on the right style for each “level” of reality? Fawkes: It’s all about expressing the sensation of each scene—something I think comics, as a medium, bear some unique strengths to do. Everything is a choice: the shape of the panel borders in the nightmares, the color choices when the characters play music, the positions and shapes of the characters on the page in the “real-world” scenes, and more. Each of these decisions affects how time feels, to the reader, how the past relates to the present and future, and how light and darkness play a role in the feelings and thoughts of the characters. For instance: readers will see that the color palette becomes very restricted whenever music is playing. This isn’t just to cue readers to the fact that music is happening in the scene, but also to convey how the characters’ perceptions narrow down, and also to underscore one of the big reveals that will be coming later in the story. 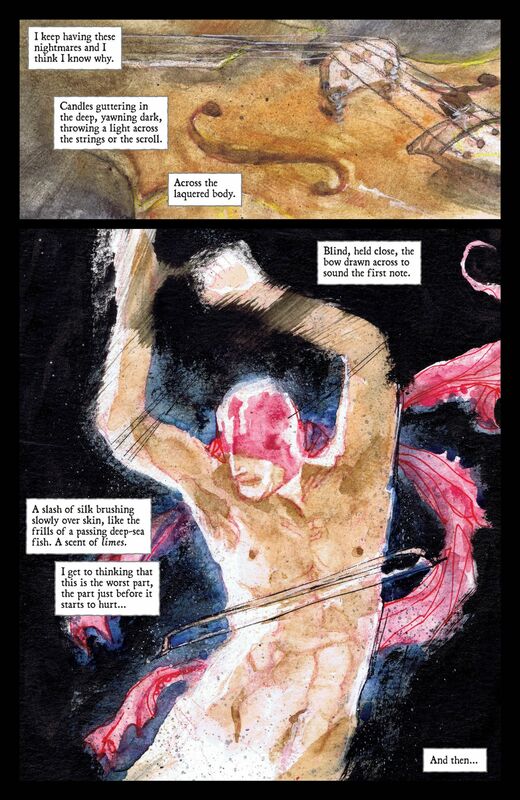 Paste: One of the characters introduced in the first issue is named Corben. Given that you’re working in the world of horror comics here, is he named in homage to Richard ? Fawkes: I am a fan of Richard Corben’s work, but that wasn’t the reason for the choice. 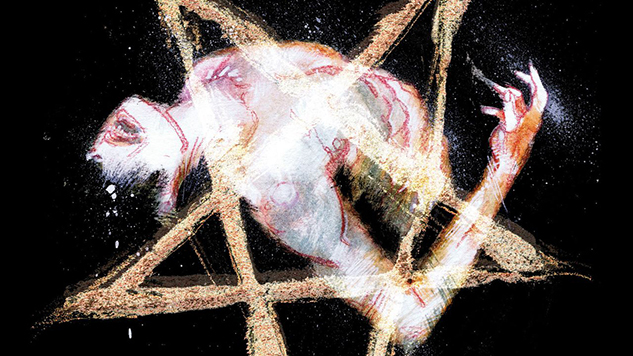 Paste: What kind of horror stories do you think the comics medium is best suited to telling? Fawkes: Comics’ strengths allow it to mess with time and space just as much as it can show shocking visuals or compelling prose, and I think horror stories use those strengths. For instance, making you page back and have a second look at what you thought you saw, with new information, or having something horrifying because it violates the rules of space that we’re used to, those are the ones that comics work best with. The page turn at the end of Underwinter #1 doesn’t just work as a surprise—information given to the readers in subsequent issues will pack that page with new meaning, making it reflect backwards and forwards through the story in a way that I feel is unique to comics. Paste: The playlist that you put together for Image features everyone from Run the Jewels to Béla Bartók. Was there one piece of music in particular that inspired this issue or the arc? Fawkes: I listen to so much music when I’m working that it’s hard to boil it down to a single piece. Certainly a lot of classical string played a part in the genesis of this story. I wanted to know how the characters would be feeling while they played, and what sort of sound their world has.